NEAT has developed an automated testing tool that can generate scripts in different formats to test both statically and dynamically the configuration and the correct functioning of a railway system. 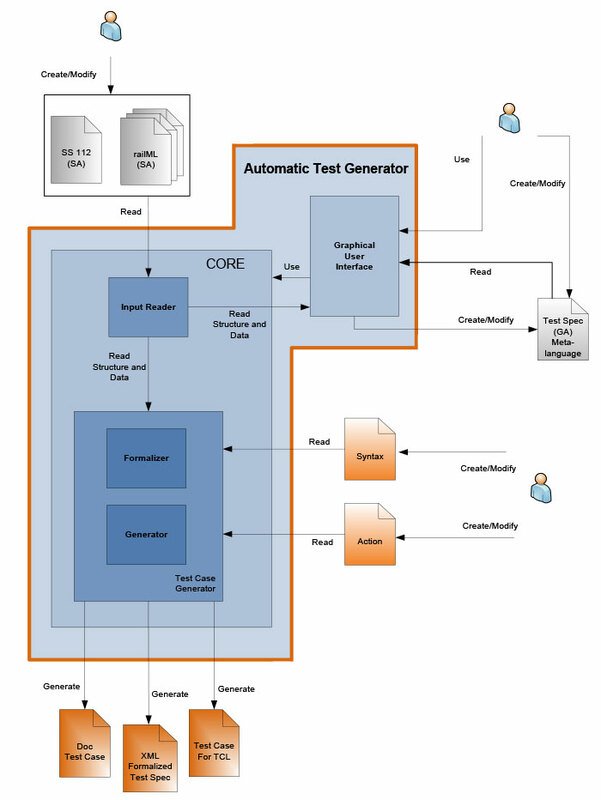 The test instructions constitute the tool’s Generic Application and are writtenwith the help of an aidedGUI,provided with hints and autocompletion. The data are loaded using a Subset 112 or RailML® representation of the site (plus some more extra data if required for the test implementation), and the generated test scripts are specific for the site itself. The test scripts can be fully integrated with the customer test environment using proprietary APIs provided by the customer or alternatively by using Subset 111 specifications.